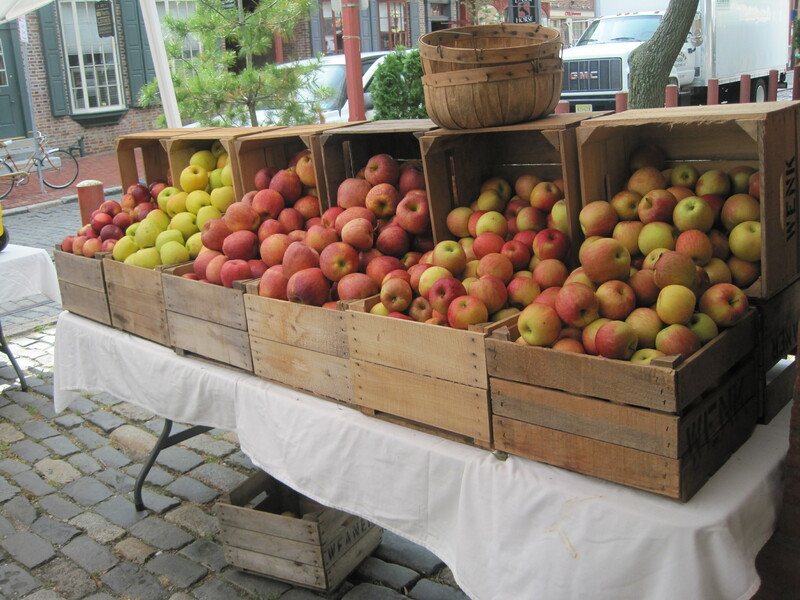 Apples all lined up ready to be sold at the farmers market. 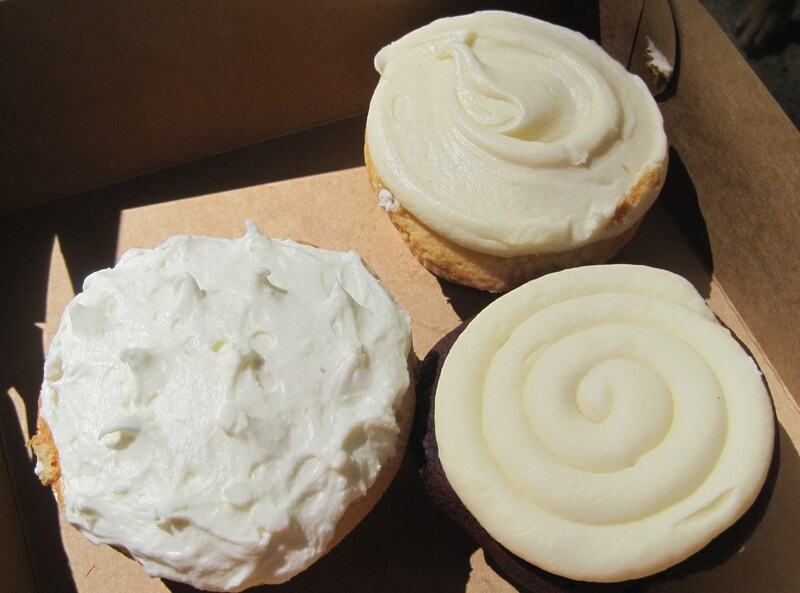 Delicious cupcakes from Brown Betty Petite bakery in Rittenhouse square area! Vanilla with vanilla, vanilla with lemon icing and red velvet with cream cheese icing! Yum! Check them out: Brown Betty Dessert Boutique. Thanks to my friend Jamie for the recommendation! 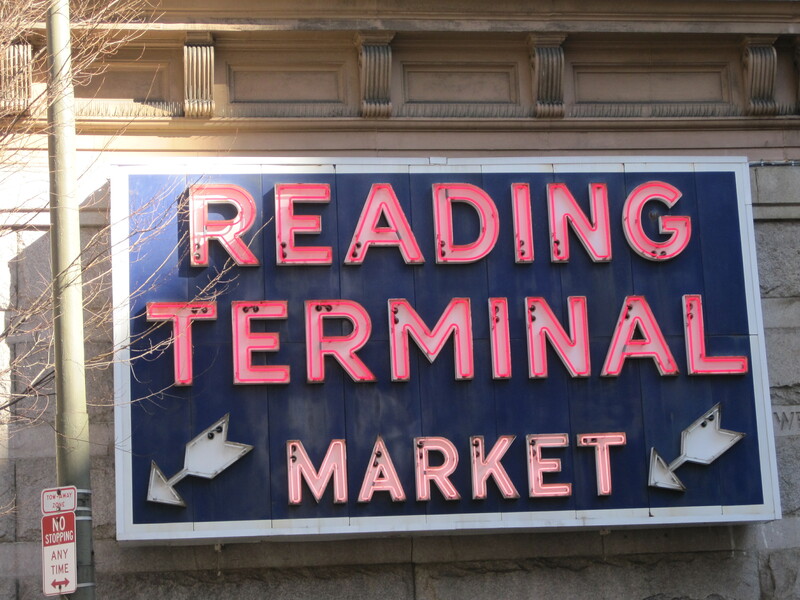 The famous Reading Market in Center City Philadelphia. This market has every type of food you could ask for! From delicious cupcakes to fresh meat to Amish food! Its the best place to visit and get lunch! 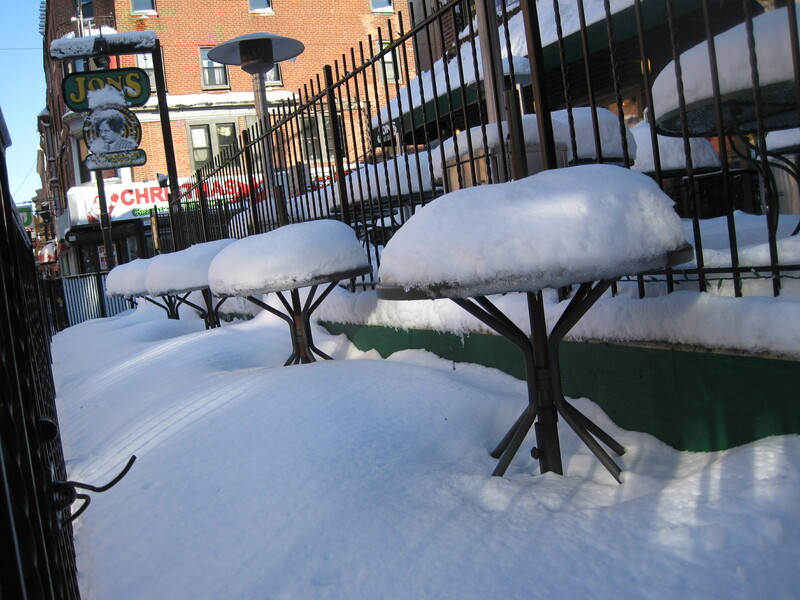 The outdoor seating at Jon’s on South St.